Our brain works throughout our life to control our body’s functions and helps us understand and interact with the world around us. Maintaining a healthy brain will help your mind stay clear and active, so that you can continue to work, rest and play. Think of your brain as being on a pedestal, your role is to guard this most precious asset by making sure it is well nourished with good nutrition choices while enjoying the benefits of physical exercise and mental challenges. There’s increasing evidence that the choices we make in life can have significant impacts on the health of our minds and our bodies as we grow older. Suffering from mild cognitive impairment, stroke or other forms of dementia is not just a matter of genetics or bad luck. 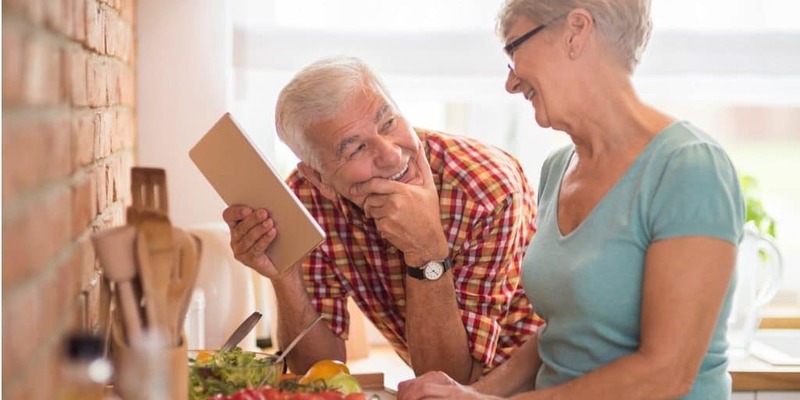 Researchers have discovered that it’s possible to improve brain health and reduce the risk of age-related cognitive decline by making lifestyle changes. Regular physical exercise, cutting bad habits like cigarettes and alcohol, eating a balanced diet and staying socially active can all boost brain health. Statistically, a healthy lifestyle will not just reduce your risk of brain issues, it will also protect against other serious conditions like diabetes, heart disease and cancer. The brain changes throughout life, adapting to things we have learned and experienced. In a healthy brain, new connections continually develop and broken ones are repaired. As we get older, particularly from middle age onward, changes can start to happen within the brain so that there’s a gradual decrease in mental capabilities. This is known as age-related cognitive decline, and it typically results in people becoming more forgetful and less mentally sharp. Although, brain health is important at every age, it becomes more imperative as we grow older. 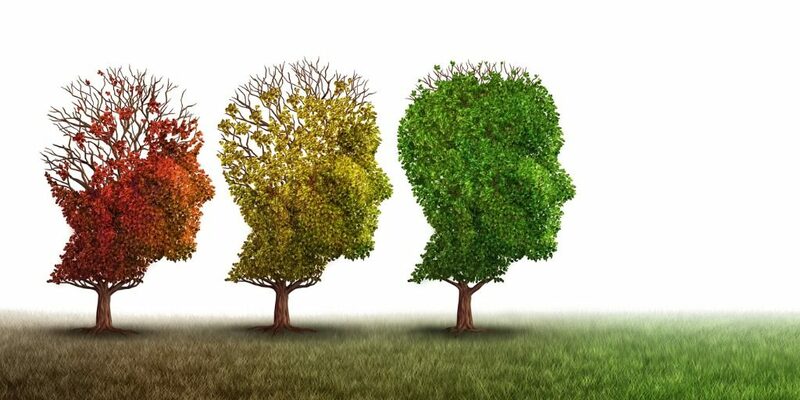 Mental decline is one of the most frightening aspects of aging, but it is not inevitable, by working to improve brain health you can help maintain your memory, understanding, communication and quality of life. Mild cognitive impairment, or MCI, is a condition in which you may have some minor changes in your ability to think clearly and remember things. In MCI, memory lapses may be worse than a healthy person of the same age may experience, but are not bad enough to affect daily life. For example, many healthy people may forget the occasional word or struggle to remember directions. However, being unable to remember the names of people close to you or getting lost in a familiar location is not normal. Dementia and Alzheimer’s disease aren’t the same. Dementia is an overall term used to describe symptoms that impact memory, performance of daily activities, and communication abilities. Alzheimer’s disease is the most common type of dementia. Dementia is the term used to describe a specific set of symptoms related to mental function. Dementia is progressive, meaning that symptoms can be very mild in the early days, but they gradually increase until they can affect an individual’s ability to live safely and independently. Dementia is common, particularly in the elderly. It is estimated to affect around one in three people over the age of 65. 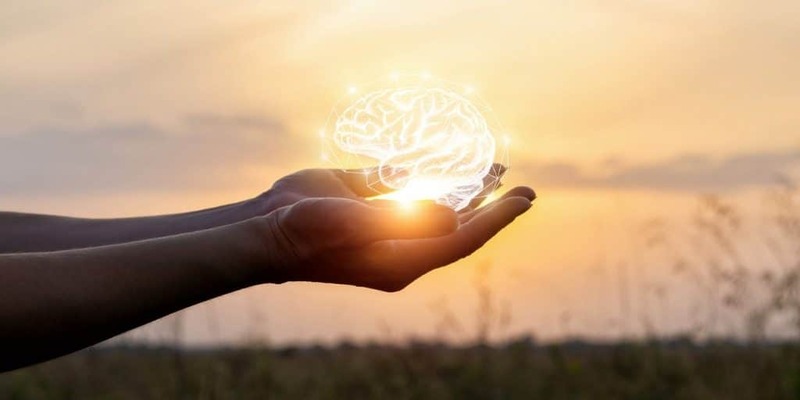 The environment and our genes contribute to each individual’s chance of developing the condition but research suggests that lifestyle is responsible for more than 75% of the brain damage associated with the disease. By adopting healthy habits, you can increase your brain health and reduce your risk of dementia in the future. 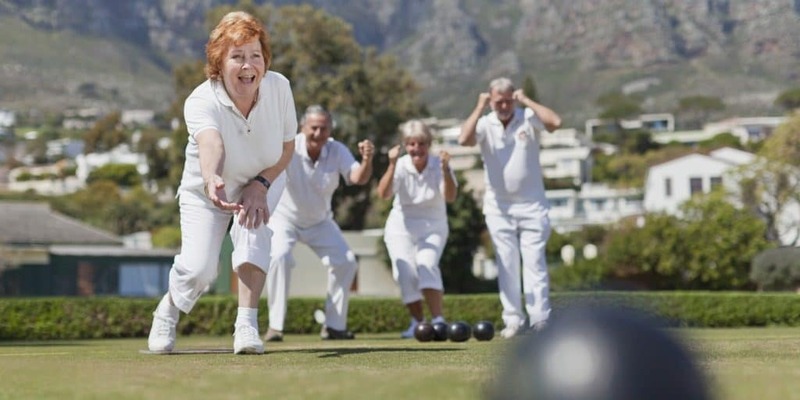 Regular exercise, such as lawn bowls for seniors can increase the network of blood vessels that supply the part of the brain responsible for thought. Exercise also helps you stay fit, protects against diabetes and lowers blood pressure so it can protect your brain in a number of different ways. Friends and family can be good for your brain health. People with strong social connections tend to have lower blood pressure, a decreased risk of dementia, and a longer life expectancy. Studies suggest that hearing loss, and the isolation associated with it, can be a significant contributor to cognitive decline. High blood pressure, diabetes, chronic inflammation and high cholesterol can impair your brain health. Have regular health checks to screen for any problems and ensure any medication keeps these conditions under control. A balanced diet can nourish your mind and your body. Choose fresh, natural produce with lower levels of sugar, processed foods and saturated fats. Fruit, vegetables, lean protein and healthy oils from olives, fish, nuts and avocados will help protect the brain. Keeping the brain active is an important aspect of brain health. Challenging mental activities stimulate the formation of new nerve cells connections and may encourage new cell generation. Try crosswords, puzzles, crafts and books to keep your mind alert and ready for anything. Sleep is a chance for our bodies to rest and repair the damage inflicted by daily life. It can be difficult to concentrate and function when we’re sleep deprived, with most adults needing between seven and nine hours to perform at their cognitive peak. Smoking increases your risk of heart disease, stroke and Alzheimer’s disease. In research, people who smoked between ten and twenty cigarettes a day had a 44 percent greater risk of getting dementia. Giving up cigarettes is difficult, but it can really help your brain stay sharp and healthy. Too much alcohol can increase the risk of dementia, but a little of what you fancy may actually do you good. Moderate levels of alcohol, under the government recommendation of 14 units a week, may help prevent memory loss. Studies have shown that turmeric has brain protective properties, reduces inflammation, and promotes antioxidant defence. It also regulates neurotransmitters and vital protein levels that support brain health. Turmeric may attenuates anxiety and stress as well as improve the efficiency of some antidepressants, as well as ameliorates sleep deprivation and protects cognition and memory. Turmeric’s anti-inflammatory properties have been widely studied and linked to an increase in brain function and neuron activity. Turmeric has also shown promise to reduce the symptoms of serious brain ailments as there is now compelling evidence that chronic inflammation may be a causative factor in depression, Alzheimer, and Parkinson’s. It is agreed, however, that more studies are needed regarding the long-term interactions of Turmeric and these serious brain disorders. Turmeric has shown to help relieve symptoms of brain fog by combating oxidative stress and providing cleaner connections for brain cells. This is because the curcuminoids found in Turmeric increase the bioavailability of DHA, which is an omega-3 fatty acid. This fatty acid is essential to maintaining your brain’s regular health and provides energy for problem-solving neural connections. Some studies have even shown that Turmeric doesn’t just increase the bioavailability of DHA, but even boosts the levels of the fatty acid in your brain, helping neural connections thrive. Turmeric has shown to prevent the aggregation of proteins within the brain and maintain the number of TH-positive cells, levels of dopamine and glutathione protecting against oxidative stress, protein oxidation and mitochondrial dysfunction. Research also suggests that Turmeric can stimulate brain-cell creating proteins such as brain-derived neurotrophic factor (BDNF). The curcuminoids in Turmeric possess anxiolytic properties which have been hypothesised to be used as an anti-stress agent. Turmeric also raises the levels of serotonin and dopamine in the brain, two neurotransmitters responsible for feelings of happiness, curbing depression, and anxiety, and increasing overall emotional well-being. 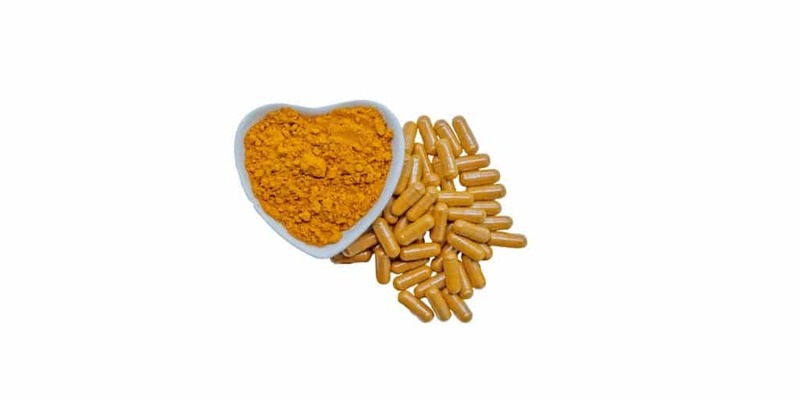 Scientists believe that curcumin, the active compound of Turmeric can improve cognitive function. In several research studies, Turmeric has demonstrated to improve working memory and attention span in older adults, as well as improved energy levels, calmness, and contentedness. This article is not intended to diagnose, treat, cure or prevent any disease. Results may vary from individual to individual.